There are many ways to see the Grand Canyon, but seeing it on a Sedona Red Rock Adventures’ tour is far from ordinary. Come see the Grand Canyon, the way it is meant to be seen in its natural beauty where we take you to the less traveled lookouts, vistas, plus so much more. Like all our tours, our Grand Canyon tours are private and personalized to meet your individual interests. 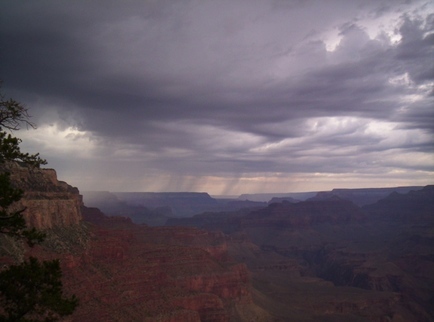 See what you wish to see while avoiding the crowds of Grand Canyon Village. Our tours begin bright and early with a scenic drive up Oak Creek Canyon. Here you will see towering red rock cliffs, as the canyon appears to close up around you. As we meander up Oak Creek Canyon, we rise in elevation approaching the Colorado Plateau. Once we reach the top of the switchbacks, enjoy a stop at the scenic overlook that peers down into Oak Creek Canyon showing you the road we came up and the intense basalt cliffs below. We continue into Flagstaff where we can stop for breakfast or simply coffee at Macy’s European Coffee House – arguably the best coffee in northern Arizona. Once in Flagstaff, enjoy a short walk around historic “Downtown” Flagstaff or the beautiful campus of Northern Arizona University. After leaving Flagstaff, we head north past the San Francisco Peaks, which make up the highest mountain range in the state. Here you will see Humphrey’s Peak which towers 12,634 feet above see level. Enjoy the beautiful drive up to the Grand Canyon as we pass tall Ponderosa Pines and Aspens in abundance. Upon arrival to the Grand Canyon, we will stop in the town of Tusayan, which lies just south of the Grand Canyon National Park. Here we will see a short IMAX film about the history of the Grand Canyon. This is a fantastic film, and a great introduction to the canyon before you see it for yourself. Now, your tour takes you into the Grand Canyon itself. Your tour includes your entrance fees into the national park. Once we arrive into Grand Canyon National Park, we avoid the hustle and bustle of Grand Canyon Village and head east to the various overlooks that dot the south rim of the Grand Canyon. Here, your guide will stop intermittingly at various overlooks where you can stop to absorb the inherent beauty that only the Grand Canyon can offer. While at the canyon, you of course do have the option to have a picnic lunch at one of the scenic vistas that we will stop at along the way. 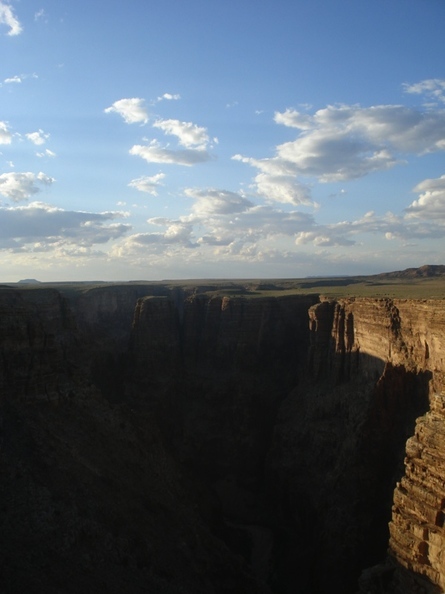 You will also have the opportunity to take several short walks along the rim of the canyon as you peer deep down where you will see the Colorado River cutting it’s path through the canyon walls like it has been doing for thousands of years. As we head further east, we will stop to see some Indian ruins from tribes that inhabited this area long ago, then we will continue to the historic Mary Jane Cotler Watchtower. After we exit the park from the east, your tour is far from over. Our next stop is the Little Colorado Gorge. It offers a vantage point with a shear cliff where you may look straight down 1,000 feet. Continuing east, our route takes us onto the Navajo Reservation, which is the largest reservation in the state. Here we will stop at the historic Cameron Trading Post. For those of you who like Indian jewelry, pottery, and crafts, this is a must see. The Cameron Trading Post has some of the finest Indian made products in the state. 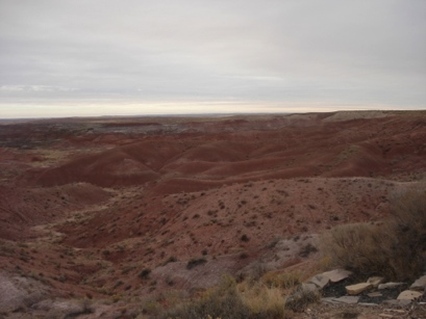 Now our route takes a southern turn and as you peer off into the distance, you will see the Painted Desert to the east. The Painted Desert is simply beautiful, for you will see a multitude of colors in the sands that make this area so special. It truly is a spectacular sight. As night falls, we arrive back in Flagstaff where we stop for dinner. Unsure what you want to eat? Leave it to our knowledgeable guides who know the area. Whether you are in the mood for pizza, burgers, Mexican, or Italian, we have the restaurant to make your day complete. This is an all-inclusive tour which usually lasts anywhere from 10 to 16 hours.